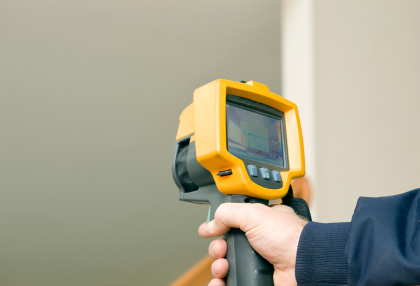 As codes and standards change, it is of utmost importance to constantly find innovative ways to improve the quality and efficiency of homes and buildings. 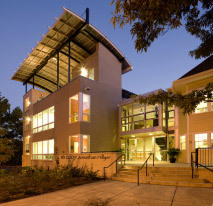 A building is no longer just a combination of forms, blocks and boards; it represents the efforts to reduce our carbon footprint and build responsibly and sustainably. That means providing home owners, architects, builders and contractors with the right building solutions to ensure green and energy efficient construction. 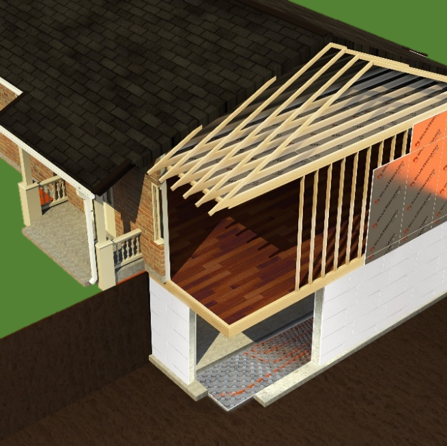 Here we have a look at some of the innovative insulation solutions for your home, by Amvic Building System, from foundation wall systems to exterior wall insulation and hydronic radiant heating systems to enable you to build an energy efficient home that helps in reducing operational and maintenance costs. Concrete foundations were historically constructed by pouring concrete into temporary forms, which were removed when the concrete was cured. When built with Insulated Concrete Forms (ICF), foundation forms remain in place and provide continuous insulation on each side of the concrete with integrated framing incorporated within the form itself. 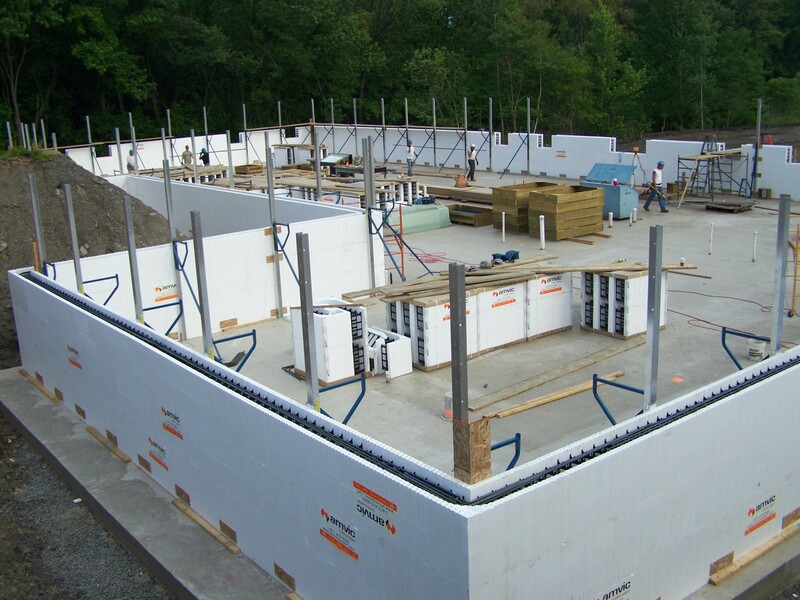 With continuous insulation on both sides of the concrete wall, ICF structures provide dramatic savings in energy consumption and operating costs. With its innovative design, Amvic ICF increases the speed of construction, reduces labor costs and provides the highest level of performance during and after installation. The powerful combination of the patented, reversible FormLock™ interlock, EPS composition, innovative web design, web spacing and fully reversible Amvic ICF block ensures a structurally superior wall system. Much faster time of construction, in most of the cases analyzed, ICF has saved over 50% of the time needed to achieve the same result. SilveRboard® Graphite XS is a cost effective & higher performing Rigid Board Insulation ideal for exterior wall assemblies. It has an expanded polystyrene (EPS) base material that embeds carbon “graphite” particles which increases the thermal performance of the EPS insulation. The graphite EPS beads reflect radiant heat energy similar to the effect of a mirror and increases the materials ability to resist the flow of heat or R value, thereby providing exceptional long term R value retention and performance. The SilveRboard® Graphite XS is available in many sizes and R value including the common R5 giving you the most efficient R value per dollar. 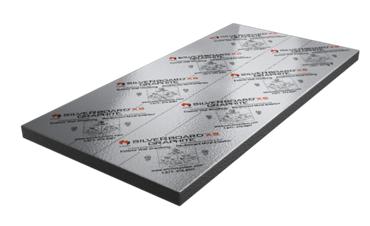 SilveRboard® is available in ½” to 6” standard thickness and delivers high performance and maximum value to builders during the construction process. 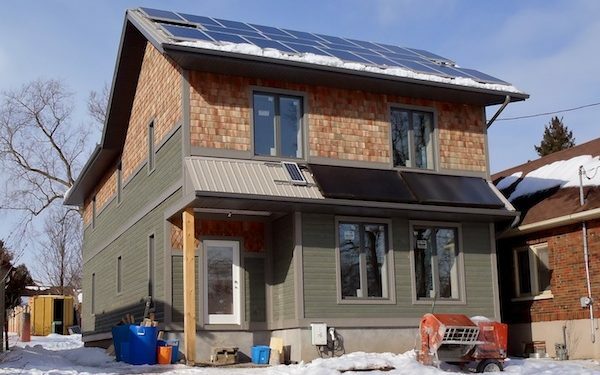 The Ontario Building Code SB-12 Chapter 3 requirements have increased the energy efficiency levels for new, low-rise homes by 15%. The minimum efficiency requirements for envelopes and mechanical systems have increased. 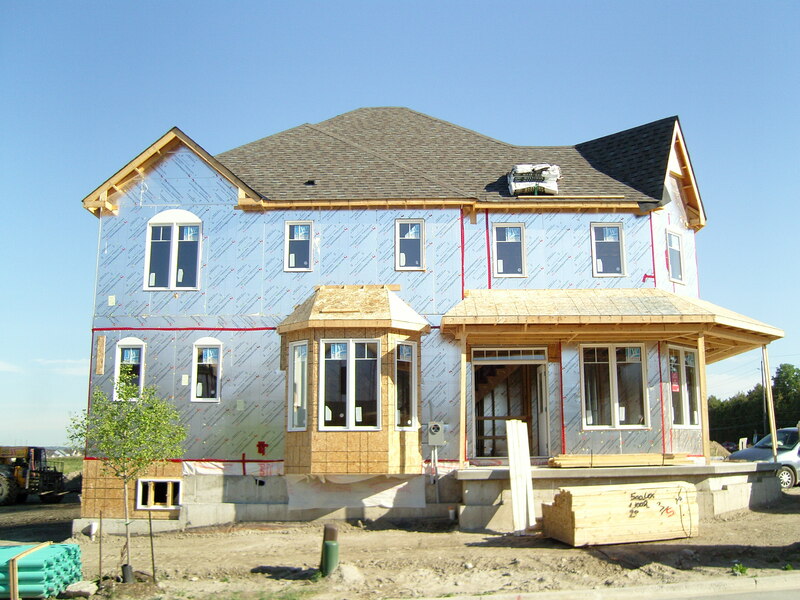 Amvic’s SilveRboard® Graphite XS allows builders to cost effectively meet the requirements of Chapter 3 of Supplementary Standard SB-12 Zone 1 of the Ontario Building Code. 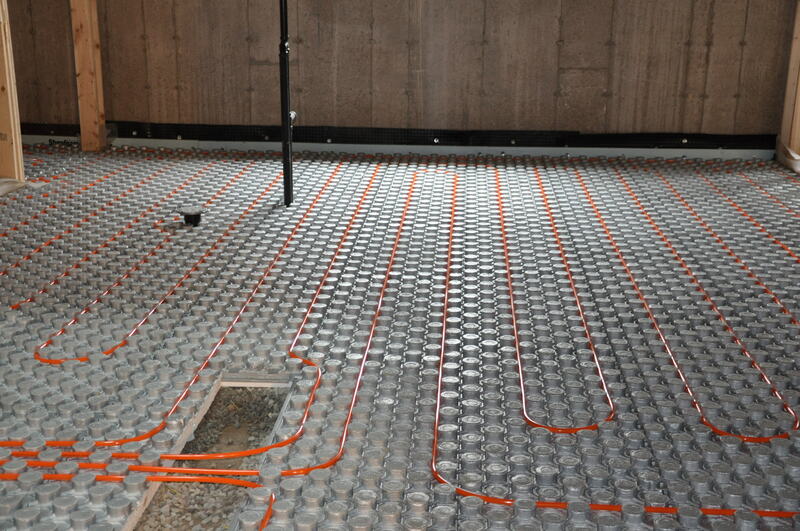 Hydronic radiant floor systems save energy and lower fuel bills because radiant heat performs better at lower water temperatures, enabling you to lower the thermostat. Further savings can be realized as running a high-efficiency boiler at lower temperatures increases its lifespan. In addition, hydronic radiant heat is more efficient than other systems because it uses moderately low water temperatures to heat your home. In effect, the entire floor is a radiator, so it doesn’t have to be as hot as conventional radiators. Boilers can heat water to lower temperatures more efficiently than they can heat water to higher temperatures. 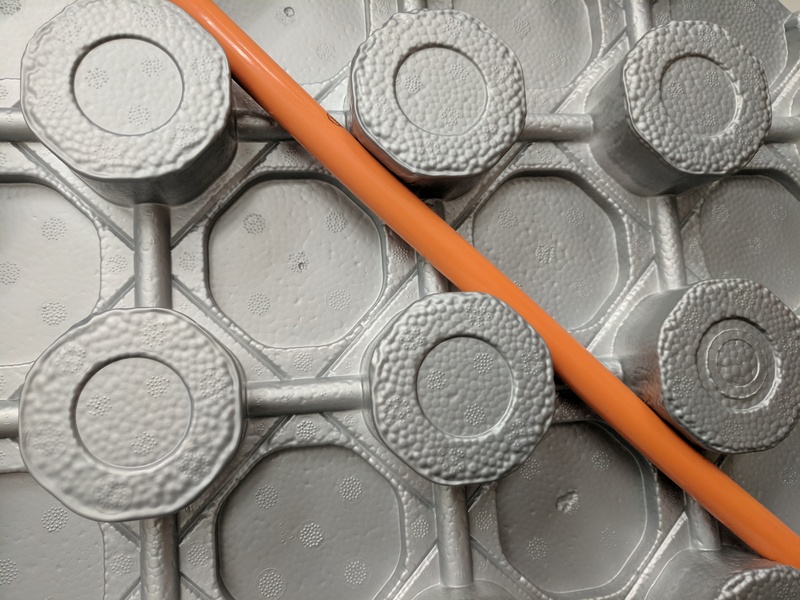 The Ampex® Insulated Pex Panel by Amvic Building System is an under-concrete insulated PEX panel for hydronic radiant heating installations. 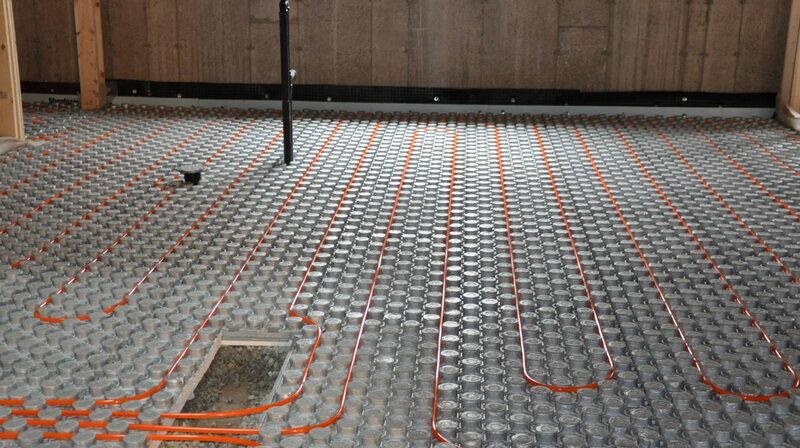 It has been specifically designed to provide easier, faster and more cost effective installation and performance for Hydronic Radiant in-floor heating systems. The Ampex insulated PEX panel consists of expanded polystyrene insulation, molded to high impact polystyrene film. This combination makes for a stronger, energy efficient and resilient interlocking PEX panel. The high impact film acts as a vapor retardant and provides high energy efficiency. The panel has R values from R10, R12, R14, and R16. The oversized four sided ship-lap interlock makes installation quick, easy and secure. Additionally, the panel nubs form a mushroom shape, locking the PEX piping firmly in place. Some of the design benefits with a radiant floor heating system include the elimination of baseboards and floor vents (which can obstruct furniture placement), the ability to effectively use floor-to-ceiling windows without compromising interior comfort, and smaller ventilation ducting for greater ceiling heights. Radiant heat also does not constantly cycle on and off, causing you to be too hot one minute and too cool the next, and does not blow dust and allergens around the way forced hot air systems do, thereby improving the indoor air quality. Nor does it dry out the air that in turn dries out nasal membranes. Plus, radiant heat is relatively draft-free. There are no supply and return registers or convection-reliant radiators, and there is less air leakage around doors and windows. Lastly, the air inside the home tends to be cleaner because dust and allergens are less likely to be stirred up by moving air currents. 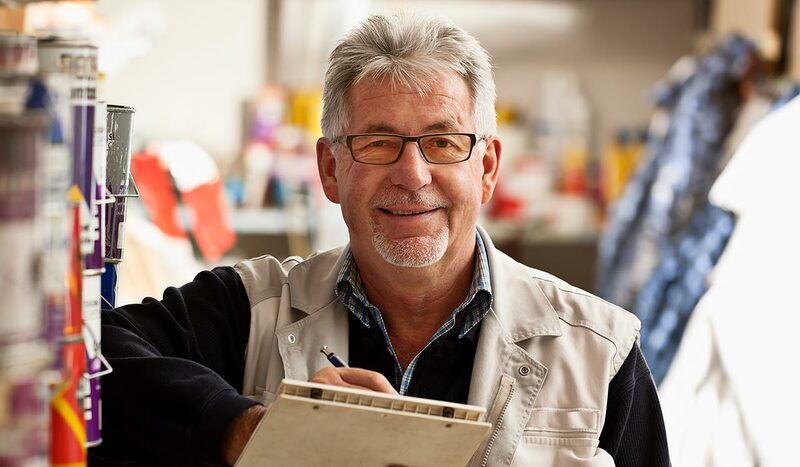 Homeowners can choose to have hydronic heating throughout their entire home which can eliminate the need for forced air units and reduce utility bills. Typical common living areas for floor heating include the basement, bathroom, the family room, garage and even the kitchen. It can also be used in snow melt applications for walkways and driveways. Best of all, radiant floor heating is compatible under any type of floor covering — carpet, wood, slate, tile, stone, laminate, and even concrete — making design possibilities endless. Building homes that are durable, resilient, environmentally friendly and resource-efficient begin right from the building’s life-cycle; from the planning phase and into the construction, operation and maintenance phases. In today’s day and age it is important to take proactive measures to ensure sustainable and energy efficient construction to contribute to building safer communities and providing a healthier way of life for years to come.